Master Bond Supreme 11AOHT is a two component epoxy resin system for high performance bonding, coating and sealing. It has a convenient, forgiving, one to one mix ratio by weight or volume. It is formulated to cure at room temperature or more rapidly at elevated temperatures with the optimum being 8-12 hours at room temperature followed by 1-2 hours at 150-200°F. It is relatively fast setting and a 100 gram mass has an open time of about 20-30 minutes. It bonds well to a wide variety of substrates including metals, composites, ceramics, glass and many plastics. It is a toughened system and is capable of withstanding rigorous thermal cycling and is well suited for bonding dissimilar substrates. Most importantly, Supreme 11AOHT is thermally conductive and electrically insulative. It is considered a high caliber adhesive with good bond strength in shear and peel modes. The color of Part A is gray and the color of Part B is off-white. The service temperature range is -100°F to +400°F. 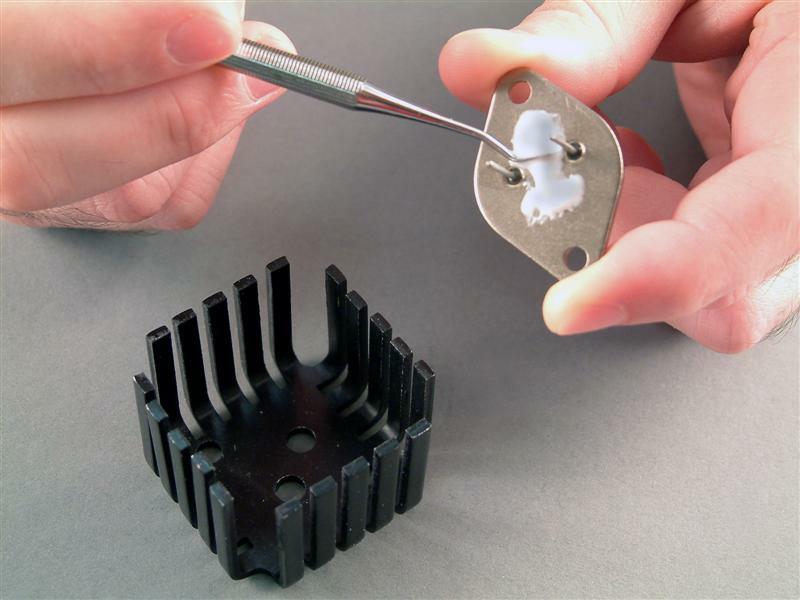 This epoxy is a logical choice in electronic, electro-optic, aerospace and specialty OEM applications, where high bond strength, thermal conduction and high temperature resistance are desirable. Supreme 11AOHT is available is various sizes and units to accommodate customer's needs.